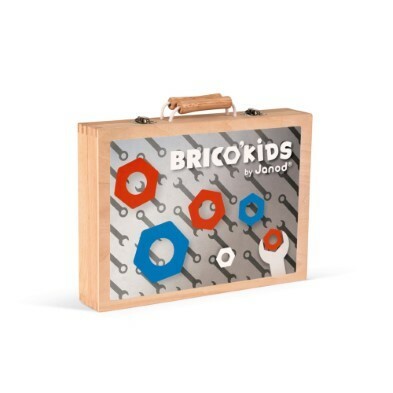 The Janod Brico Kids Tool Kit is a must have for any young boy or girl. 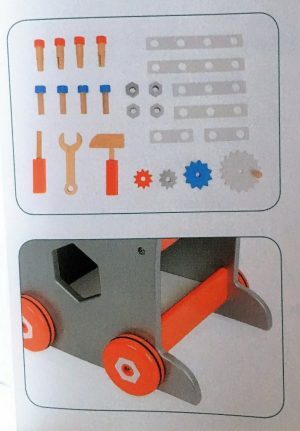 A kids tool set made of wood. 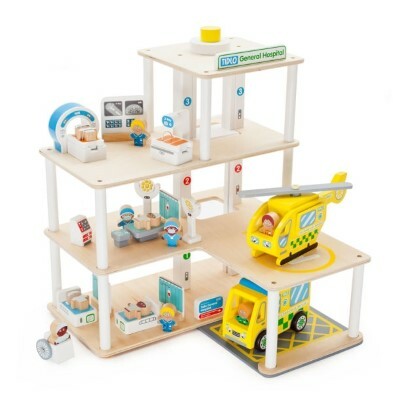 It’s fully equipped to start your little builder on his way. 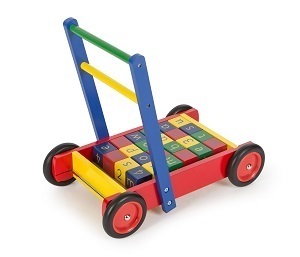 All in a handy wooden carry case. 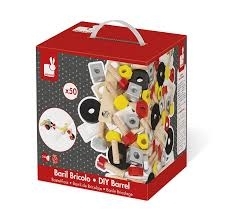 The Janod Brico Kids Tool Kit is a must have for young do-it-yourselfers! 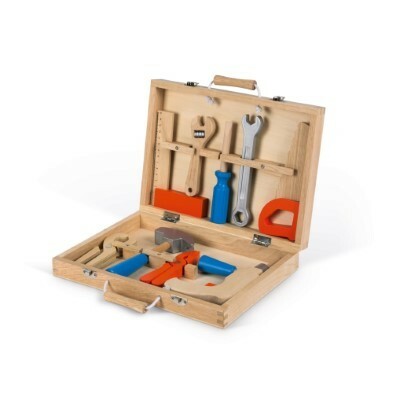 A kids tool set in a wooden tool box. 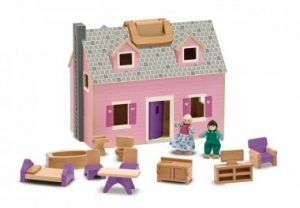 Imagine, build, invent. 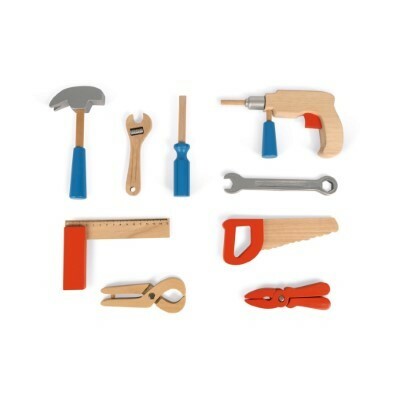 Everything a little carpenter needs to help out with DIY jobs around the house. 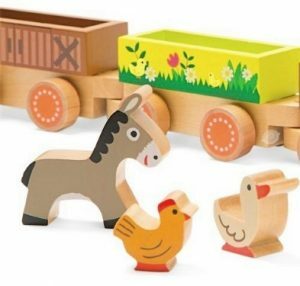 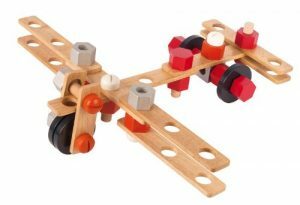 Brightly coloured 9 piece wooden kids tool set lets children explore their creative side. 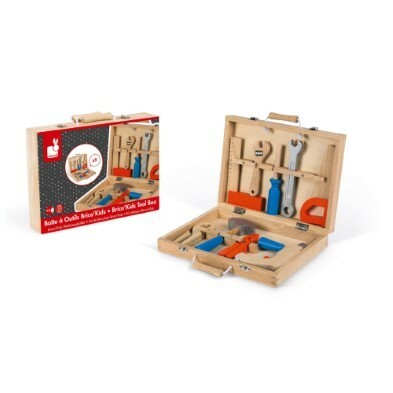 Role-play kit includes a screwdriver, spanner, saw, drill, pliers, hammer and multi-grips. 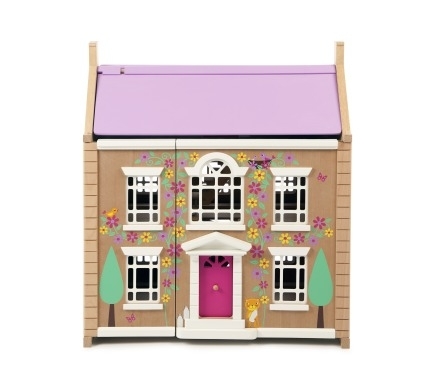 It also comes complete with a smart wooden case for storage and travel. 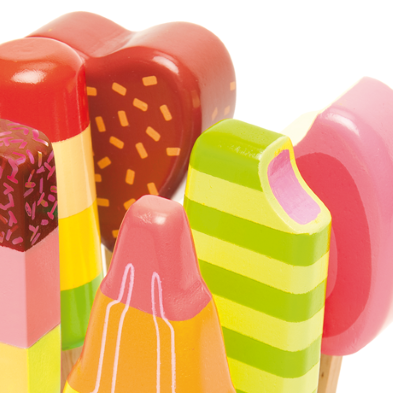 Matches well with the Brico kids range. 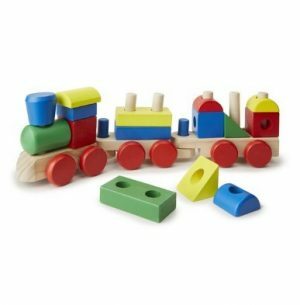 Made from rubber wood. 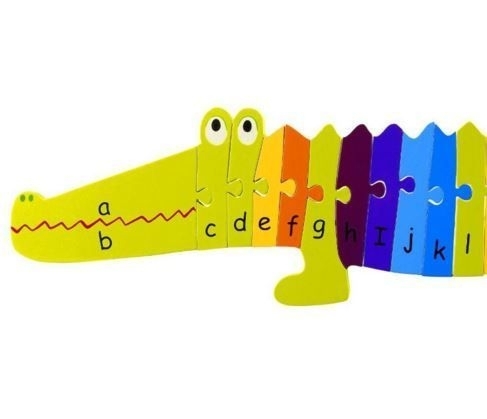 Recommended Ages 3 – 8.